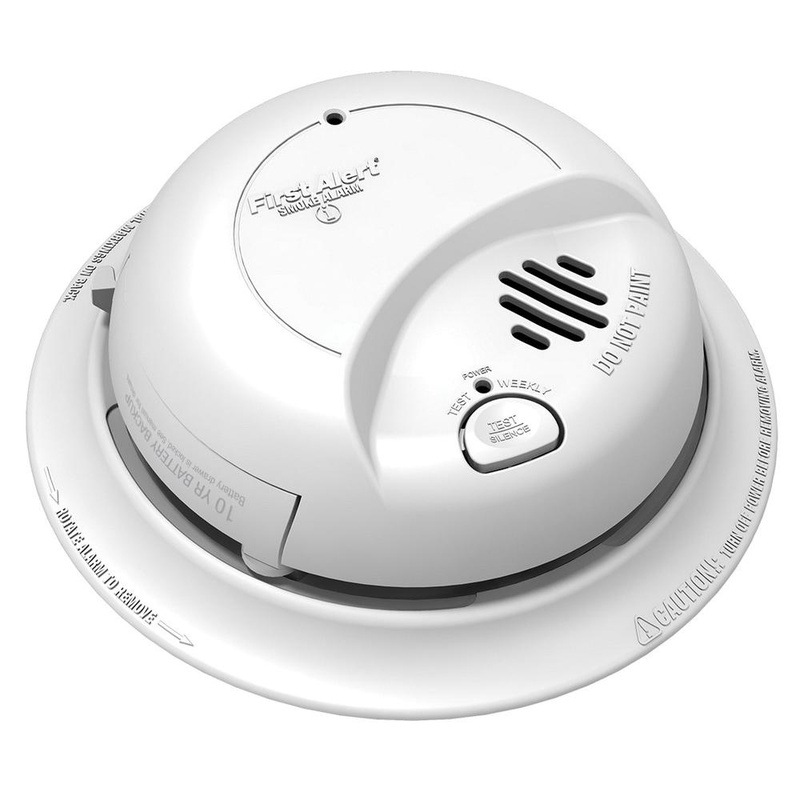 BRK First Alert® 9120B Model Single/multi station smoke alarm is perfect for use in residential and institutional applications including sleeping rooms of hospitals, hotels, motels, dormitories and other multifamily dwellings. Alarm in white color, measures 5.6-Inch Dia x 2-Inch. Alarm featuring solid-state piezo horn, has noise level of 85 DB at 10 ft. It incorporates dual ionization smoke sensor that is effective at detecting small particles produced by flaming fires. It employs smart technology to minimize the number of nuisance alarms. This alarm automatically resets when smoke clears. It provides audible sound for power up indication, malfunction indication and low battery indication. It supports interconnection with up to 18 units of BRK/First Alert smoke, heat and carbon monoxide alarms and maximum of 12 units of smoke alarms. It has 10-year lithium battery backup for reliable operation. This alarm comes with mounting bracket that has keyhole slots to eliminate the need of removing the electrical box screws for installation. It supports mounting on wall and ceiling. Specifically it withstands temperature of 40 to 100 deg F. Alarm is UL/CSFM listed and meets NFPA standards.